I'm SO excited that I get to show you the cover!! It was great revealing my book to you a month ago, but it is even better now that I can show you the cover. The quilt on the cover is called Four Patch Shift. 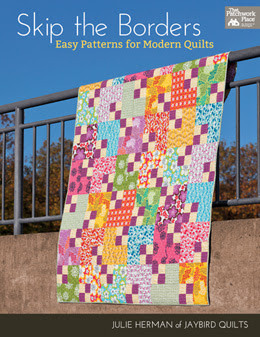 It features Pick a Bunch by Nancy Mims for Robert Kaufman. My book is being published by Martingale. They have been amazing to work with. Choosing a publisher isn't the kind of thing you do overnight. I decided to work with Martingale after a lot of research and conversations and I could not be happier with my decision. You can pre-order a signed copy in my shop. 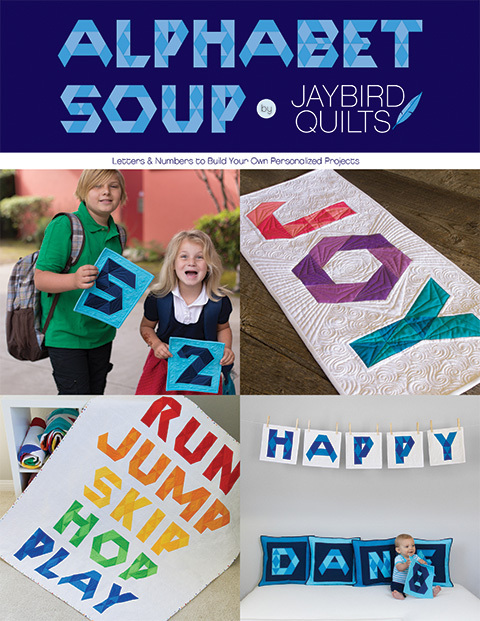 All Pre-orders will also receive a Jaybird Quilts Pattern as a bonus! Also if you will be at market...I will have a schoolhouse session about my book! More info to come on that soon! I am bursting with pride! I am so proud of you! Shut up! That's such a great cover!!! Congratulations :) I'm so thrilled for you! Love it! When I saw the cover, my heart skipped a beat. The cover has such a luster about it. Congratulations & have a super day! That is a super Fab cover!!! And of course the title is the best - I love skipping borders. I just love watching your career grow and grow! 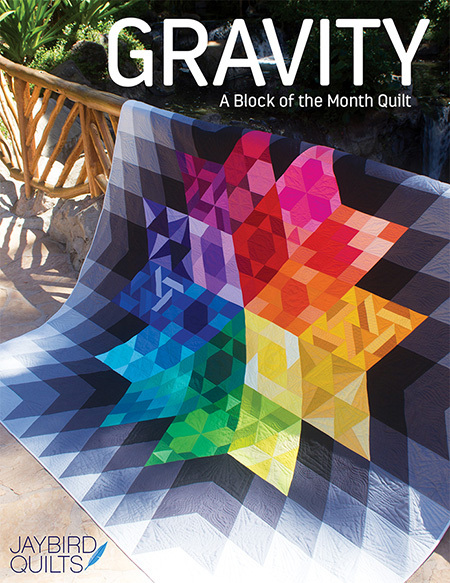 And this cover and quilt is amazing. Go Julie!!! love the cover! I ordered it and can't wait to get it! It's beautiful! A great reward for all your hard work. How exciting! I love the cover...congratulations girl. Oh, oh, another one to put on my shelf and dance with joy about having it. Happy dancing congrats to you. And I have a nice stack of Pick a Bunch all ready and waiting! Great cover!! I have to have that one! I can't wait ... can't you rush them.....lol! I love the cover quilt. Congrats on the new book! CONGRATULATIONS! Love the cover! Can't wait to see your book. Congrats!!!! it looks wonderful, cant wait to get a copy! CONGRATS!!!! It looks beautiful! I will definately be getting me one! 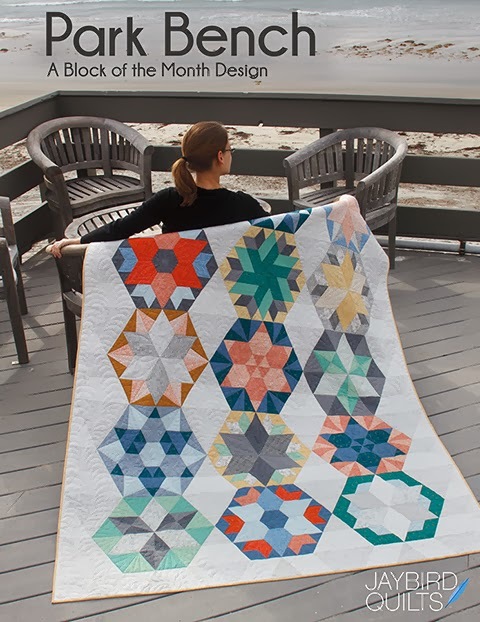 You are such an amazing quilter!!!! Thanks for the inspiration! I love your book cover. I cannot wait to see your book. 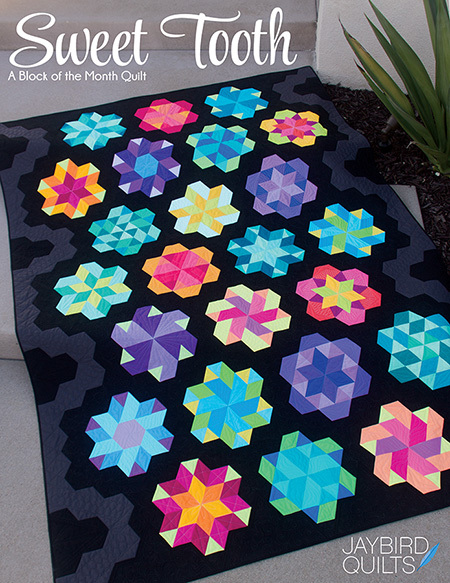 Your quilts are my favorite on the entire internet. You insipire me. 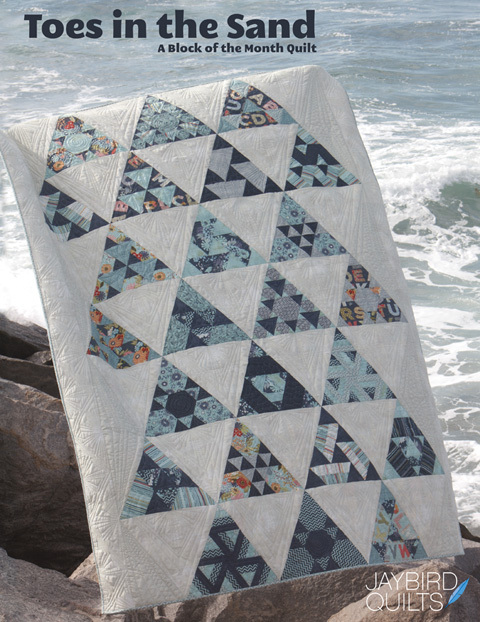 I like quilts without borders because I cannot cut straight borders. I love the color combinations and fabics you use. Awesome. Congratualtions!! The cover is wonderful, the colors are my favs. Wishing you much success with Martingale. What a wonderful cover! Congrats!! Well that certainly warrants a Snoopy Dance! It's gorgeous and I'm looking forward to seeing all the treasures tucked between the pages. Congratulations! I love it! Thanks for sharing it with us (and how excited you must be!!!). I know you're going to Market, but do you ever go to the AQS show in Paducah? (or any of their other shows). I'm going next week and would love to meet you in person if you're there. This is so exciting! I'm thrilled for you and can't wait to see more. I know it will be a fabulous book! Congratulations! Congrats! The cover is fantastic! I'm looking forward to reading the inside. Great cover.Can't wait to see the book! Wonderful cover! Congratulations with your book published! The cover is so beautiful! Congratulations again! THRILLED for you Julie! The cover looks just amazing with beautiful color. I hope to get one of your books myself. Let me add my congratulations as well - quite an accomplishment. I love the title, and the cover, too. It is so bright and cheery, I would definitely be drawn to it on the shelf even if I didn't know you write great patterns. Love the title! Most of my quilts don't have borders. I am too anxious to finish them so I don't lose time adding borders! Congratulations!! The cover looks amazing! I just completed my first quilt with no borders and I loved it. I can't wait to see your book!